Working on a marketing campaign for your product line? If you want to give one of your products a boost by using a coupon or start a social media campaign with an online game, we have some great ideas for you. Coupon labels help a customer finalize a borderline decision. Variable data like game codes can be imprinted using our laser or UV inkjet coders on press when the labels are printed. And you can get short runs of labels or proto-type labels economically by having them printed on one of our HP digital presses. Sometimes labels have to be more than just a decoration. 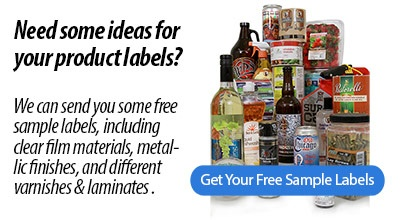 That's why Weber prints a variety of special-purpose labels including coupon labels, game-piece labels, security labels, booklet labels, lumber tag labels and more. • Have a special label project that is out of the ordinary? Give us a call and let us show you some solutions! • Coupon label construction use general purpose or all-temperature adhesives while peel-off coupons or game pieces use a removable adhesive. • Sandwich labels have a peel-off reveal that stays on the product while the game piece comes off without adhesive. • Coupons should be a bright color to attract the buyer's attention. • Large type stating the coupon's offer is essential to get the message across fast and accurately. • Variable game codes or messages can be imprinted using laser or UV inkjet coders while on press. Get our handy guide to getting started with labels. .
What is a pressure-sensitive label?